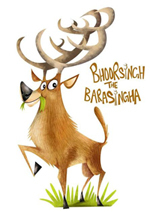 Bhoorsingh the Barasingha is the official mascot of the famous Kanha National Park. There are two things that Bhoorsingh is very proud of two- of being endemic to Kanha Tiger Reserve, and of his glorious twelve-tined antlers! Kanha Tiger Reserve, India’s largest National Park lies between the Balaghat and Mandla districts of Madhya Pradesh. It was baptized on 1st june ‘1955 & was officially declared a Tiger Reserve in 1973. It stretches over an area of 940 sq km. Kanha National Park is complimented with a supporting buffer zone of 1067 sq km along with 110 sq km of the neighbouring Phen Sanctuary. Kanha National Park is ranked in the “Top 10 Famous Places for Tourists in India”. Kanha National Park houses more than 1000 species of blossoming plants. 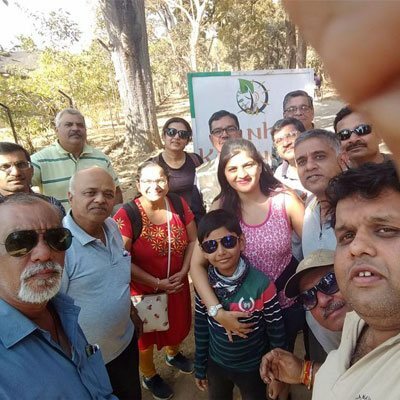 Kanha National Park features low land forests & houses the blend of Shorea Robusta ( Sal ) forests, as well as, various trees, which are scattered with lush meadows. The forests of Kanha National Park are basically moist dry deciduous type with abundant bamboos on slopes. 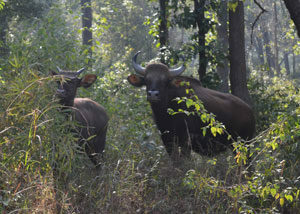 Kanha National Park thrives on open meadows, as well as, grasslands. The meadows of Kanha National Park play a vital role in the existence of the Hard Ground Swamp Deer ( Barasingha ). In the several small lakes, streams, as well as, water reservoirs, you can find various aquatic plants. These are a life line for the animals, as well as, the bird species. Although Tigers remain the most sought after “King of Kanha National Park”,the Pride are the Hard Ground Swamp Deers (Rucervus Duvaucelii | Barasingha ). The recovery of the Hard Ground Swamp Deers ( Barasingha ) population in this National Park is one of the most inspiring success stories in the entire history of wildlife conservation in the country. The reserve has been instrumental in rescuing the swamp deers from extinction. 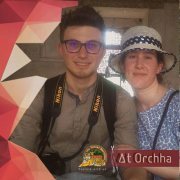 Along with the Royal Bengal Tiger, leopards, wild dogs, wild cats, foxes, as well as, jackals are found in Kanha National park. 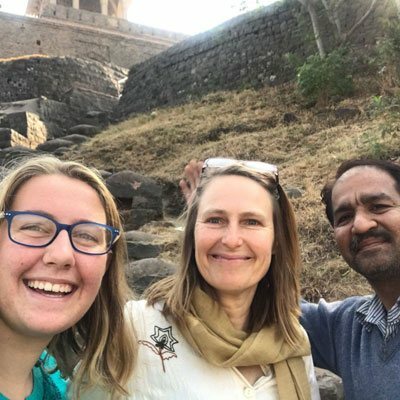 Hyenae & sloth bears are also seen occasionally. The most spotted herbivorous are Spotted Deers, Sambhar, Barasingha, as well as, the Indian Gaur. Occassionally seen are the four horned deer ( Chausingha ), Mouse Deer, as well as, Barking Deer ( Indian Munjtac ). Pythons,Cobras,Krait,Rat snake,Vipers,Keelbacks & Grass snakes are found in certain areas of Kanha National Park. Kanha National Park remains closed from 1st of July to 30th of September each year or as reviewed & declared by the Forest Department. While in winters when the temperature falls below 2°c, the fog settling on the lakes & the meadows are a photographers delight. Kanha National Park has four core & four buffer zones for tourism purposes. Kanha zone : considered to be the premium zone in pricing.The topography is primarily meadows as well as dense forests. Kisli zone : is a dense Sal forest having a very high visibility of Tigers. 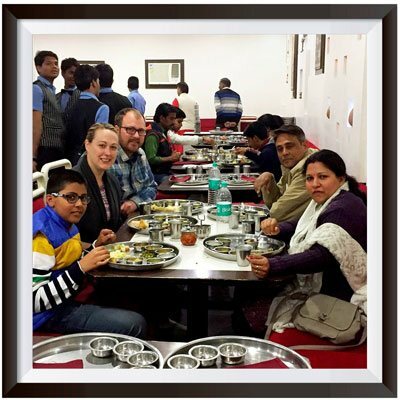 Sarhi zone : primarily consists of small hillocks,streams & forests. 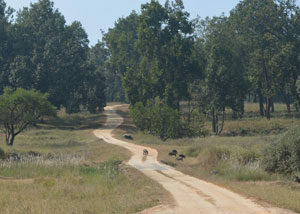 Mukki zone : is one of the densest part of Kanha National Park having a significant Tiger population. The buffer zones are Khapa, Khatia, Phen & Sijora. 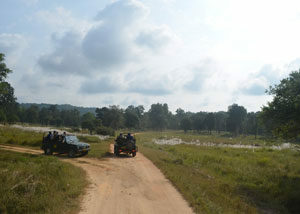 The “Kanha National Park Safari” component includes the entry tickets, safari vehicles as well as the guide. A vehicle can accommodate 8 pax i.e. one driver,one guide & six tourists. 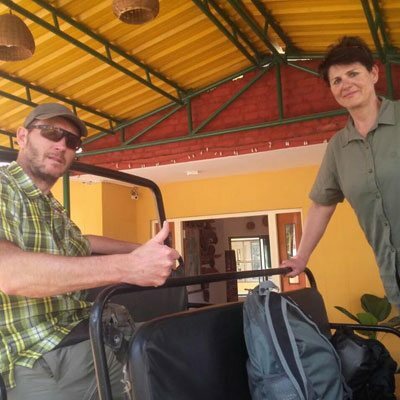 Regarding the timing of the the safari’s,the morning excursion starts at sunrise & lasts till 11 am. The evening excursion is a little shorter & guests are supposed to leave the park before sunset. There are no afternoon safari’s on Wednesday’s. There are no safari’s on national holidays & festivals. 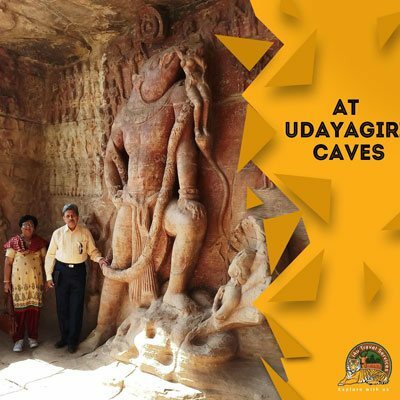 The nearest railway station is Jabalpur ( 175 kms | 4 hrs drive ). All these towns have regular air & train connections with Delhi,Mumbai as well as other major cities of India. 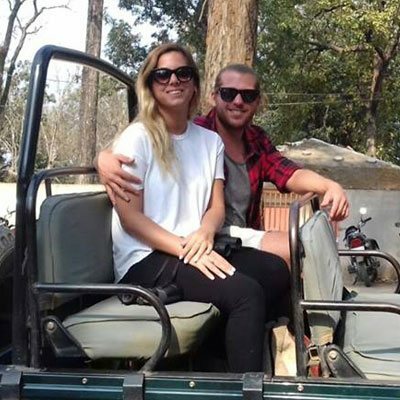 We offer customized & tailor made packages for Kanha National Park as per the requirement of the guest.